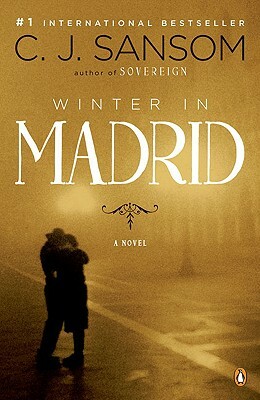 A #1 internationally bestselling novel set in post-Civil War Spain by the author of Dominion and the Matthew Shardlake Tudor Mystery seriesSeptember 1940: the Spanish Civil War is over, Madrid lies in ruin, while the Germans continue their march through Europe, and General Franco evades Hitler's request that he lead his broken country into yet another war. Into this uncertain world comes a reluctant spy for the British Secret Service, sent to gain the confidence of Sandy Forsyth, an old school friend turned shady Madrid businessman. Meanwhile, an ex-Red Cross nurse is engaged in a secret mission of her own. Through this dangerous game of intrigue, C. J. Sansom's riveting tale conjures a remarkable sense of history unfolding and the profound impact of impossible choices. C. J. Sansom, the internationally bestselling author of the novels Winter in Madrid and Dominion and the Matthew Shardlake Tudor Mystery series, earned a Ph.D. in history and was a lawyer before becoming a full-time writer. "It comes as no surprise to learn that Sansom's novel spent month after month on London's bestseller lists." "There are touches of Graham Greene; Hemingway's here, too. . . . But Sansom transfigures his sources into a moral universe very much his own." "Sansom [proves] real noir is best when lit with flashes of wit." "Sansom can lay claim to a place among the best distinguished of modern historical novelists."